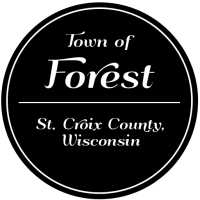 The Town of Forest, St. Croix County will hold a public informational meeting for the replacement of the 220th Avenue bridge over the Willow River (Jack Green Creek). The meeting will be held at the Town of Forest Town Hall, 1895 County Road D, Emerald, WI 54013, on Tuesday, December 8, 2015, starting at 7:15 p.m. The bridge is located in the Town of Forest about 0.5 miles east of USH 63. The project will consist of replacing the 220th Avenue bridge and making improvements to the adjacent roadway approaches. Currently, the project is scheduled for construction in 2017. All adjacent property owners, area residents, and other interested parties are cordially invited. and will recess to the Public Informational Meeting at 7:15pm. Board Meeting Agenda will be posted at a later date.